Do you need to recover deleted files in Mac OS X? Disk Drill for Mac can recover your data from virtually any storage device. 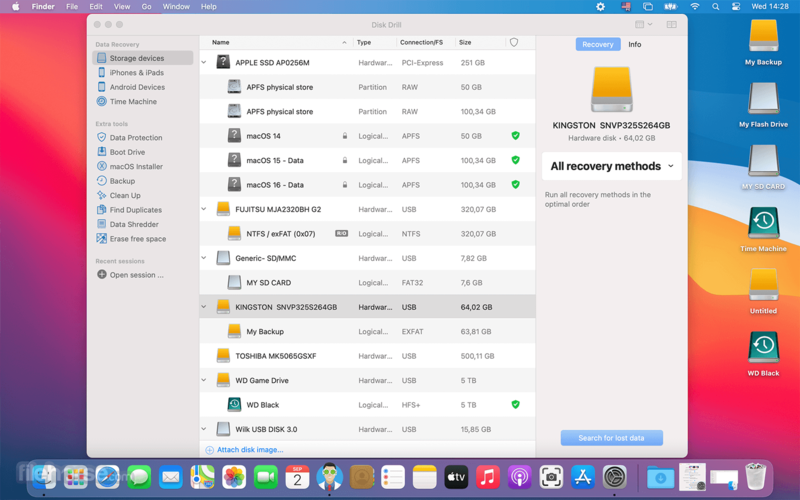 Whatever device you lost data from, if you can connect it to a Mac, Disk Drill can scan it and has a good chance of recovering your lost data. 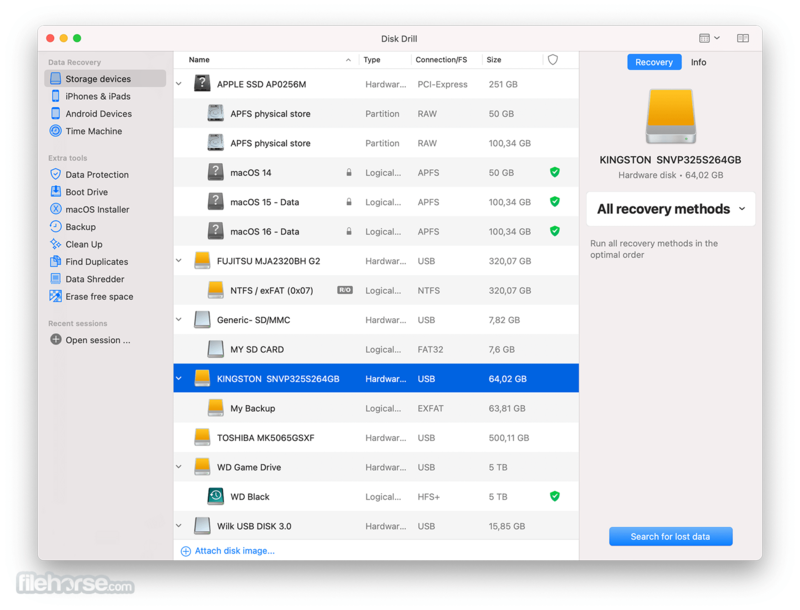 Even if you're currently having issues accessing your hard drive or external device directly, there's a possibility free data recovery software for Mac OS X can rescue data from it. Disk Drill means recovery for all major file types and file systems. 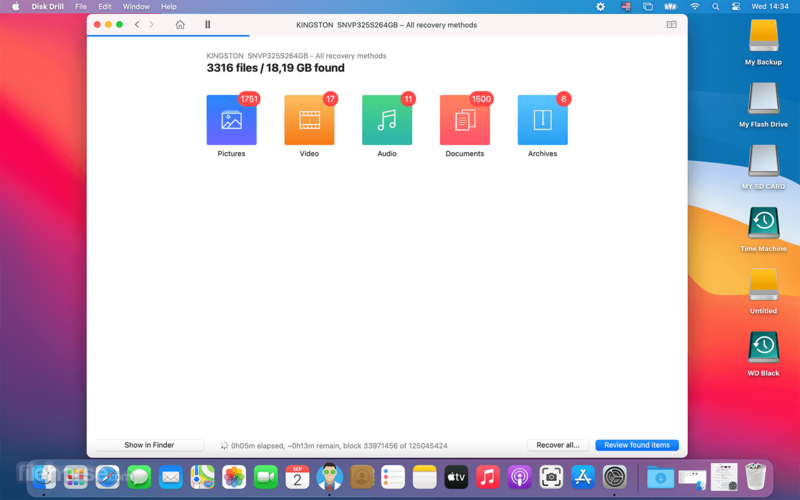 If you install Disk Drill for Mac after a data loss, you can scan and preview your lost files for free with Disk Drill Basic. Once you are sure that your files can be recovered, you can quickly upgrade to Disk Drill PRO or Enterprise to get your data back. However, if you install Disk Drill Basic before you lose any data and turn on its data protection features, you can recover your files for free, without upgrading. 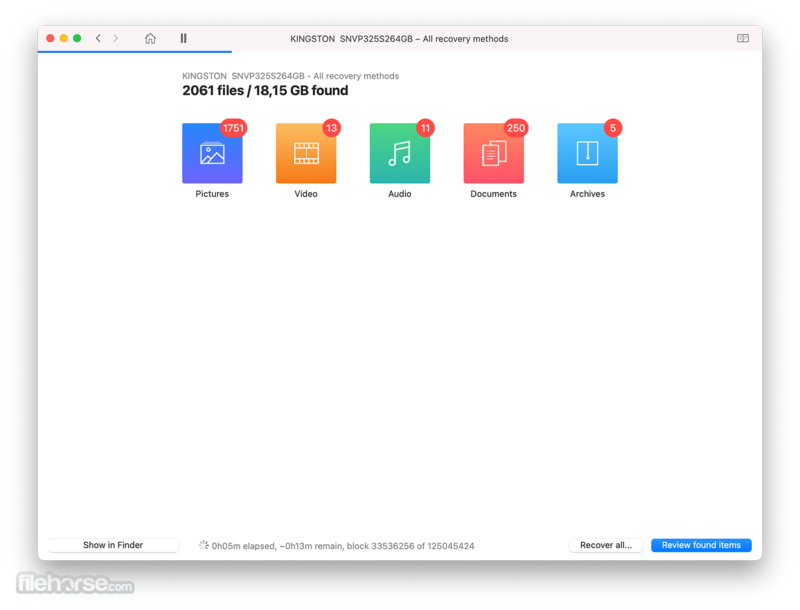 Guaranteed Recovery invisibly makes copies of deleted files and folders you put in your Mac's Trash; Recovery Vault keeps records of all metadata for deleted files, so that they can quickly be recovered with names and file locations intact. S.M.A.R.T. Monitoring warns you of hard drive trouble before it fails. Restore Data on Any Internal or External Storage, iOS and Android. Hard drive or memory card went suddenly blank or is not recognized? You may have a lost partition issue. The data might still be there, but the "map" the Mac computer needs to find the data might be lost. Disk Drill enables you to restore the lost partition and get back your data, if it's still there. All mountable devices are supported. Various recovery methods are available based on the file system, even formatted drives are recoverable. Disk Drill is not only about data recovery. It's packed with useful disk tools for both professionals and home users. The best part about these extra tools is that they are free. There’s no need to buy additional apps to free up space on your hard drive, or create DMG backups, or monitor your disk's health. With Disk Drill you are all covered. Additional tools are free... forever. Note: Requires 64-bit processor. The recovery feature is disabled in the demo version.